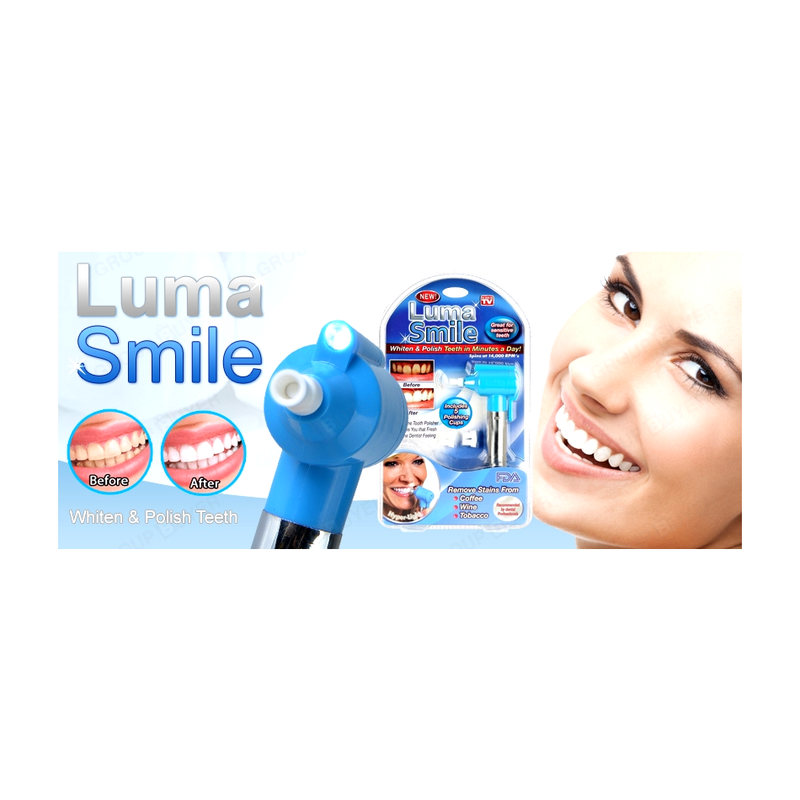 Luma Smile the at home tooth polisher that removes stains for long lasting results. 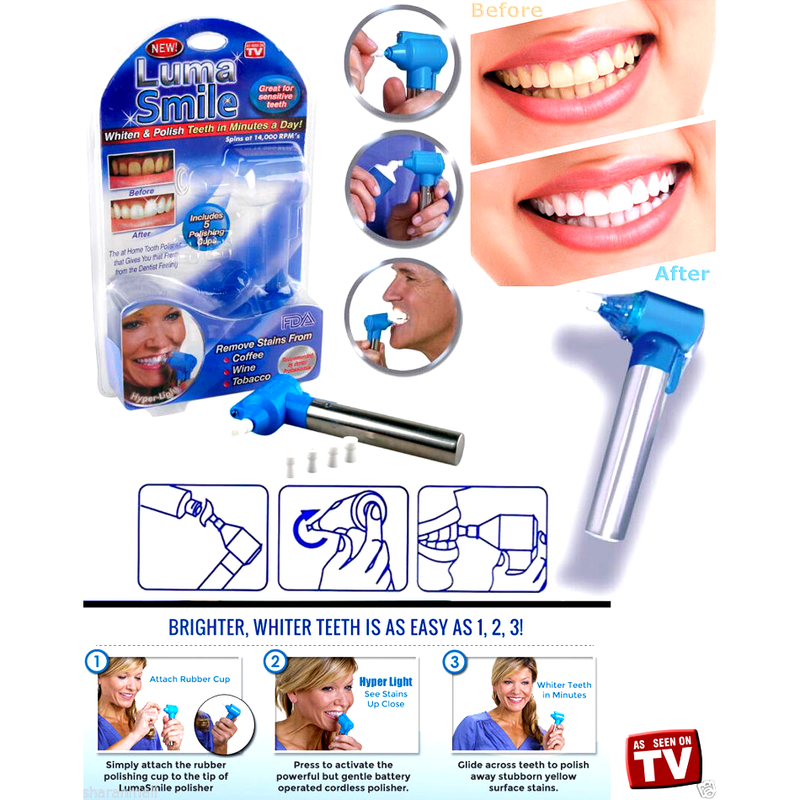 Luma Smile as seen on TV whitens and polish teeth in just minutes a day. 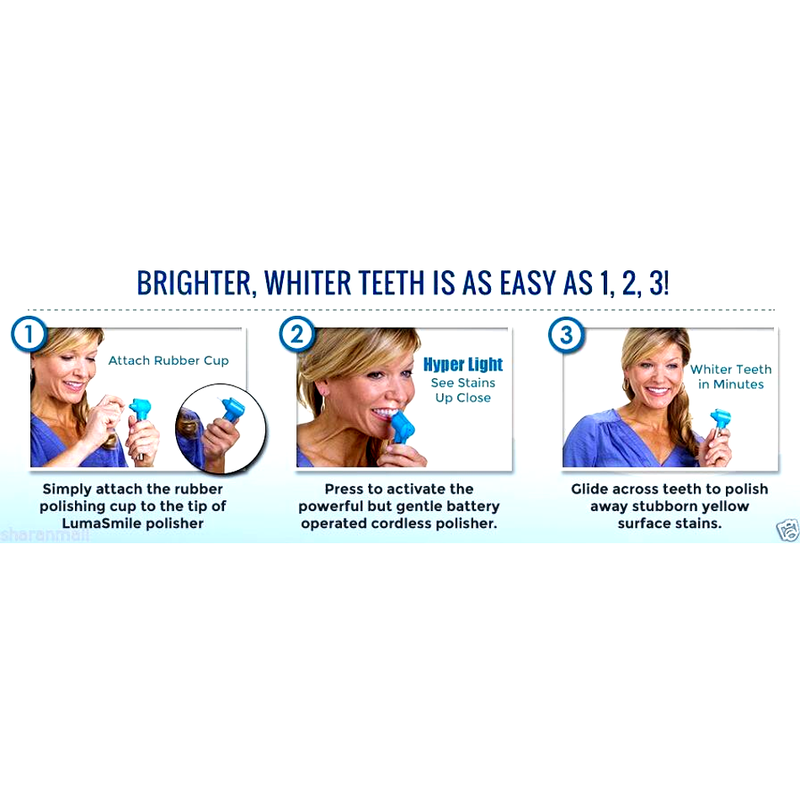 The secret is the rotating rubber cup that gentle remover stains and polishes teeth. 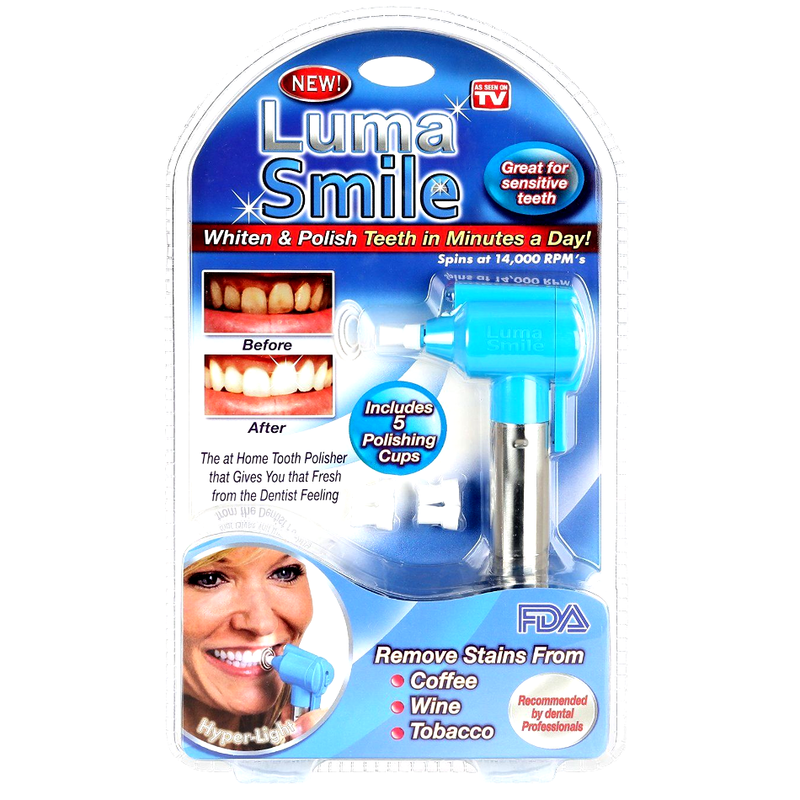 Luma Smile the at home tooth polisher that removes stains for long lasting results. 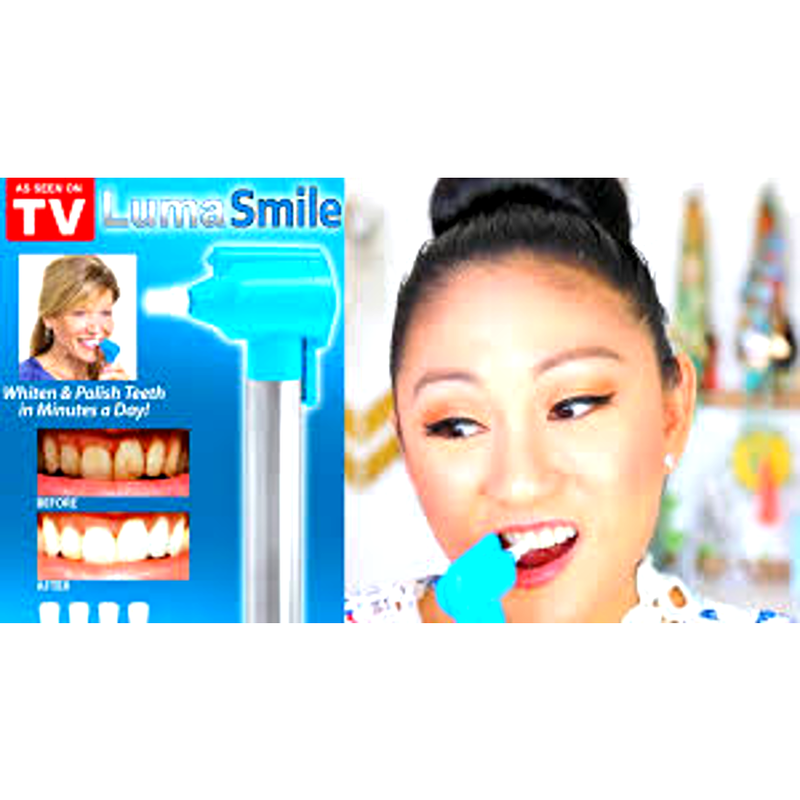 Luma Smile as seen on TV whitens and polish teeth in just minutes a day. 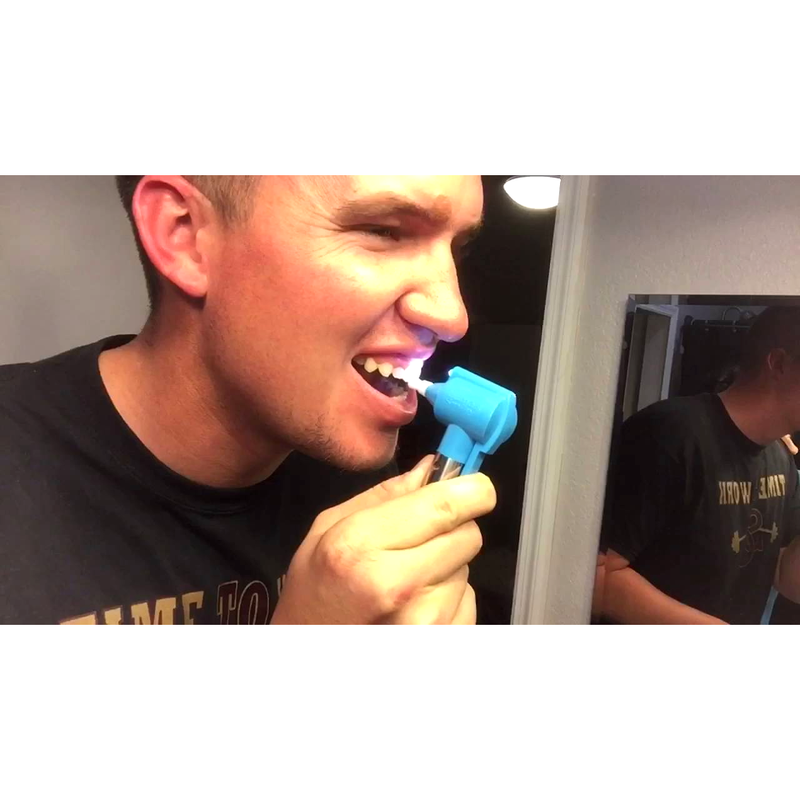 The secret is the rotating rubber cup that gentle remover stains and polishes teeth. 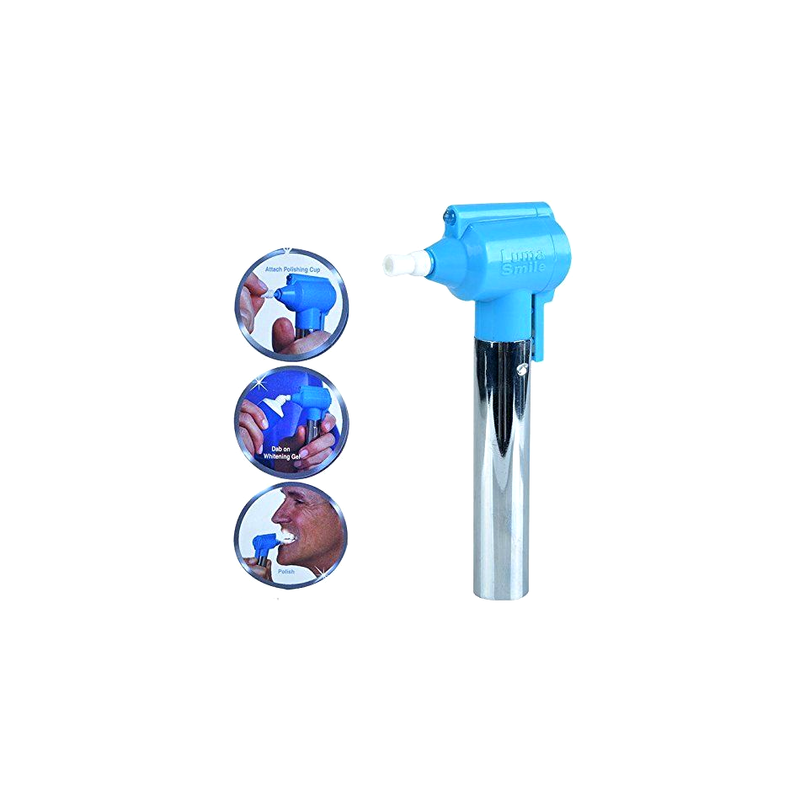 It’s easy simply attach the rubber polishing cup to the tip of the Luma Smile polisher, press to activate the powerful but gentle battery operated cordless polisher and glide across teeth to polish away stubborn surface stains. Use weekly to help maintain a beautiful white smile. Leaves teeth feeling smooth and glossy. 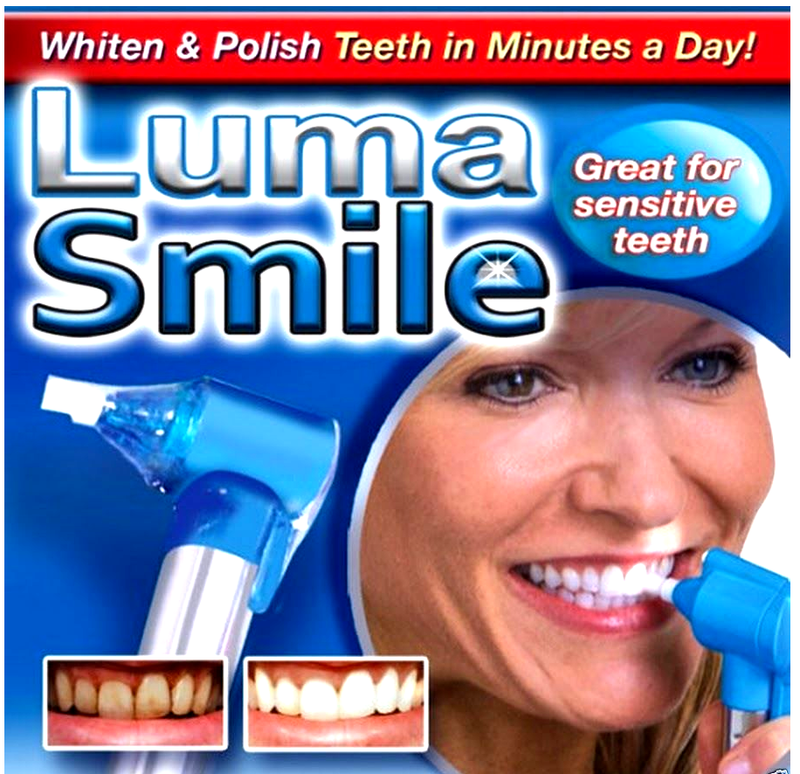 Includes Luma Smile and 5 polishing cups – each cup lasts up to 100 uses.